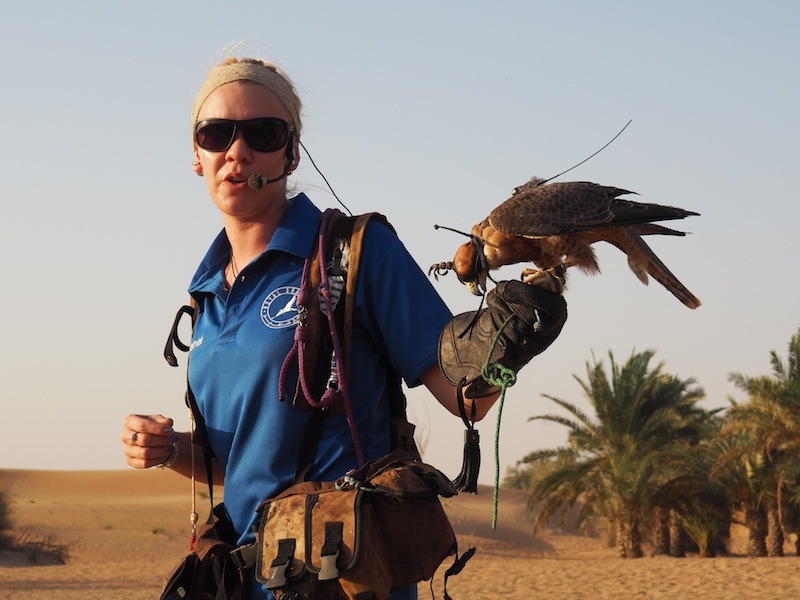 Dubai where have you been all my life? 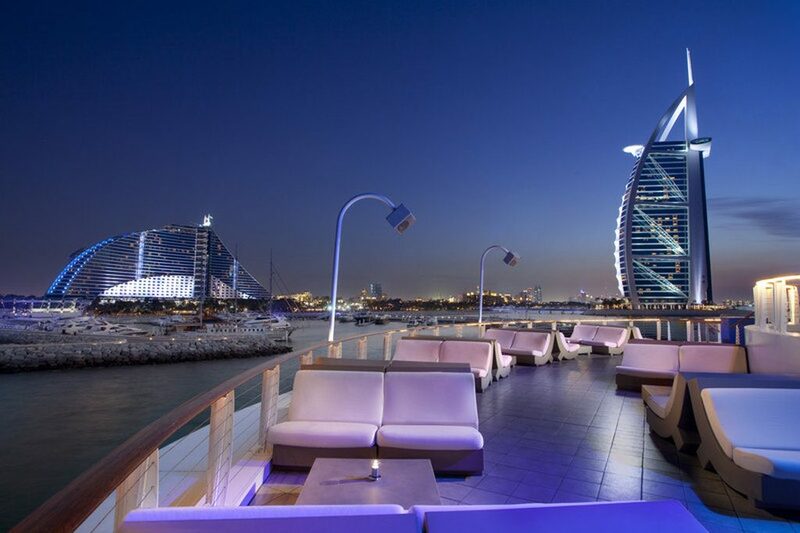 Considering I’m a girl who loves beach cities, is obsessed with shopping and spa treatments, and is a self-confessed foodie, it’s pretty preposterous that I’ve waited so long to visit this famous Emirate. 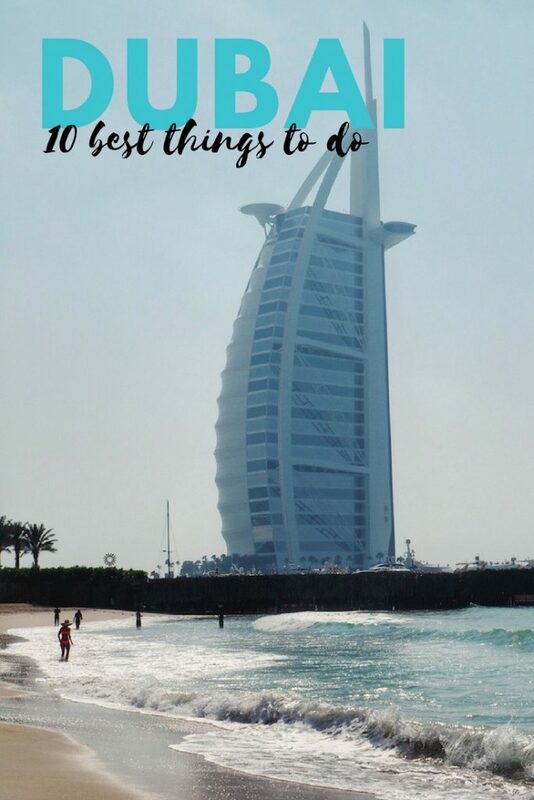 Dubai’s sparkling skyscrapers, spotless beaches and never-ending shopping malls were all that I hoped for and more. 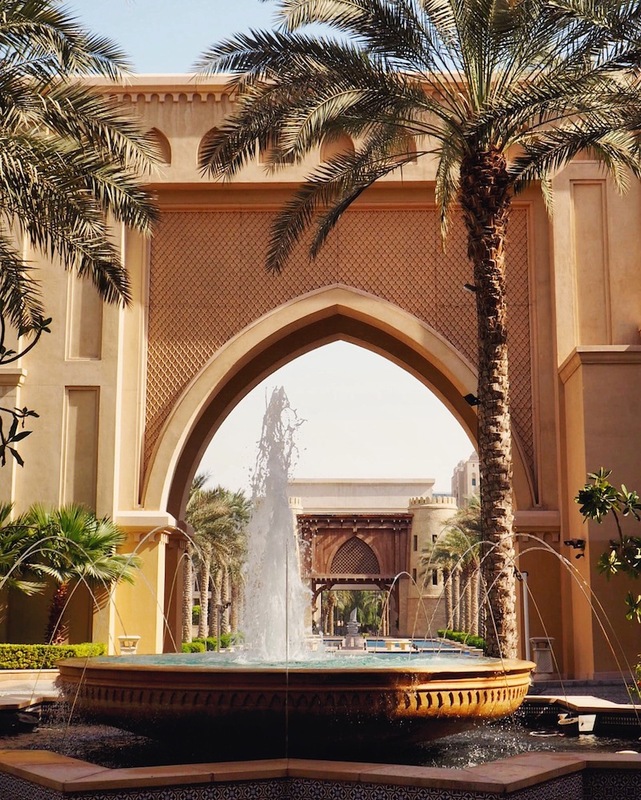 So for anyone planning a holiday in Dubai, here are 10 incredible experiences you mustn’t miss in this dazzling desert city. 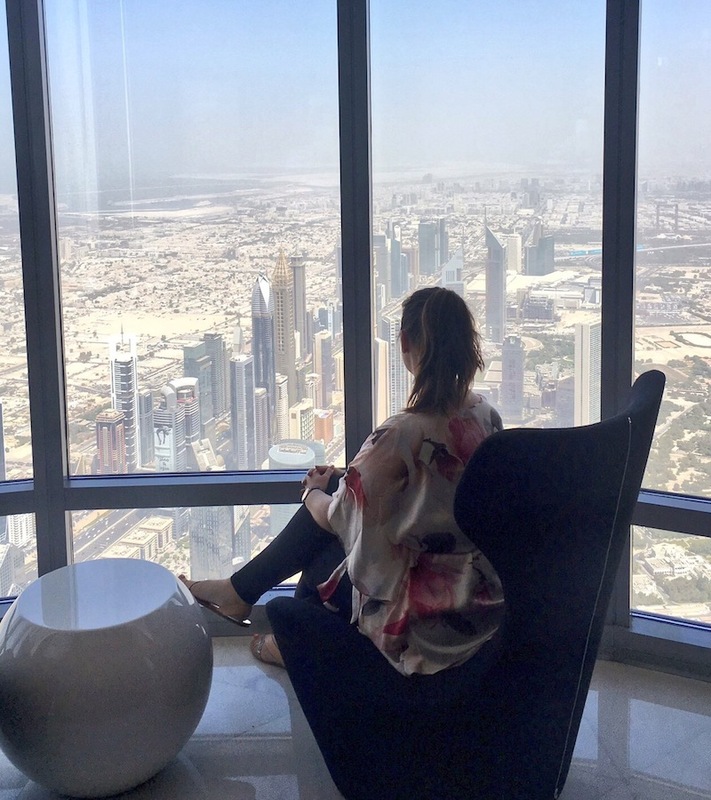 There’s no better way to get acquainted with Dubai than by soaking up the views from the top of the world’s tallest building. 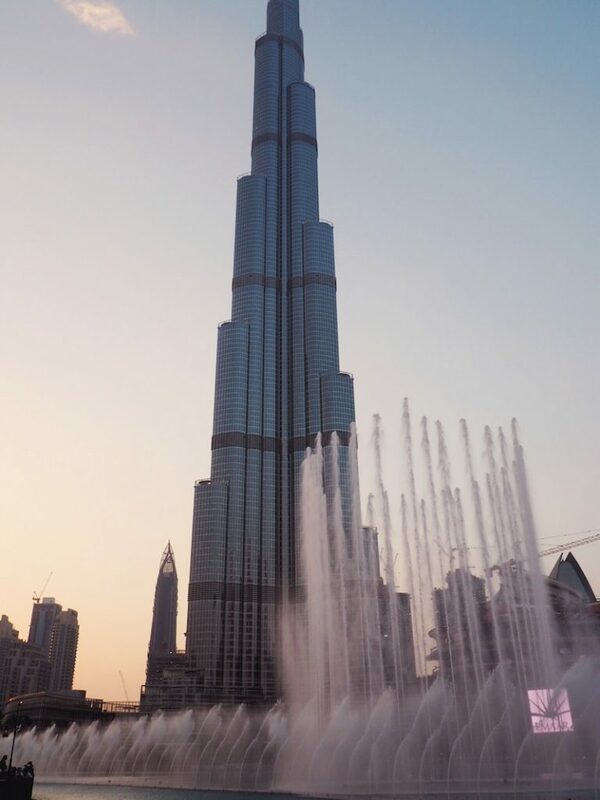 The Burj Khalifa, a staggeringly tall tower reaching 555 metres, has a couple of observation decks for those who don’t suffer from vertigo. 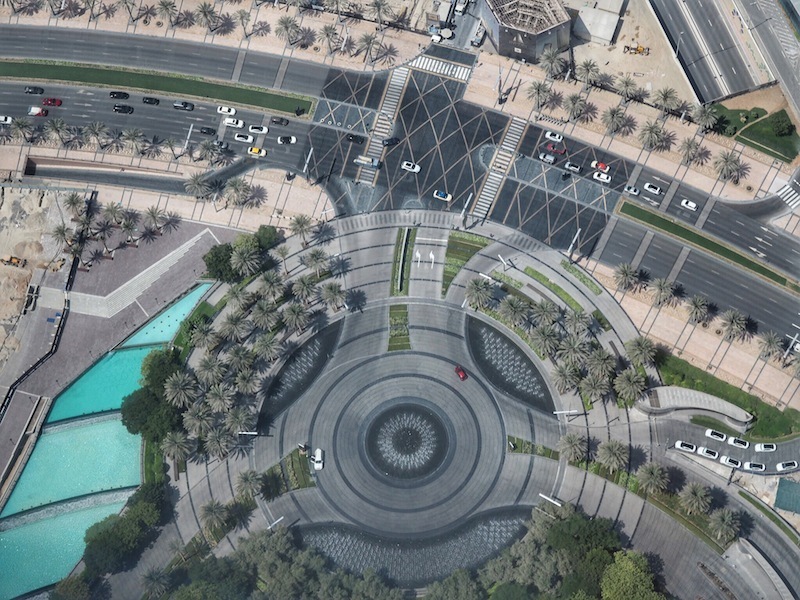 The general observation deck is on level 124 but if you want the bragging rights of having stepped foot on the highest outdoor observatory in the world then book yourself into Burj Khalifa SKY and you’ll get access to level 148. 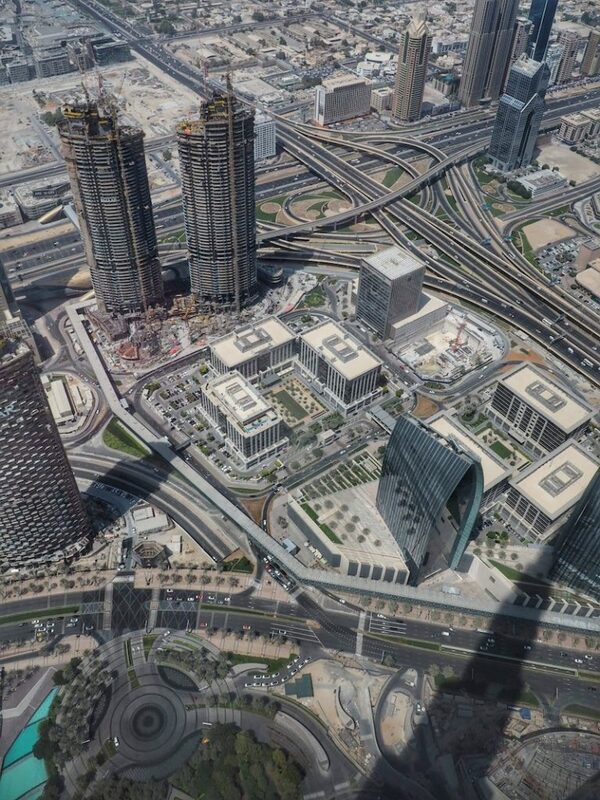 Burj Khalifa SKY is a far more luxurious experience than general entry (which in truth we booked by accident!). You’ll begin your visit in a lounge where you’re offered dates and coffee and then queue jump the lifts all the way up to level 148. At SKY there’s more plush seating, cold drinks and sweet treats, as well as the outdoor observation area that we had completely to ourselves on our visit. It’s substantially more expensive than entry to At The Top but a lush experience if you want to be fancy. 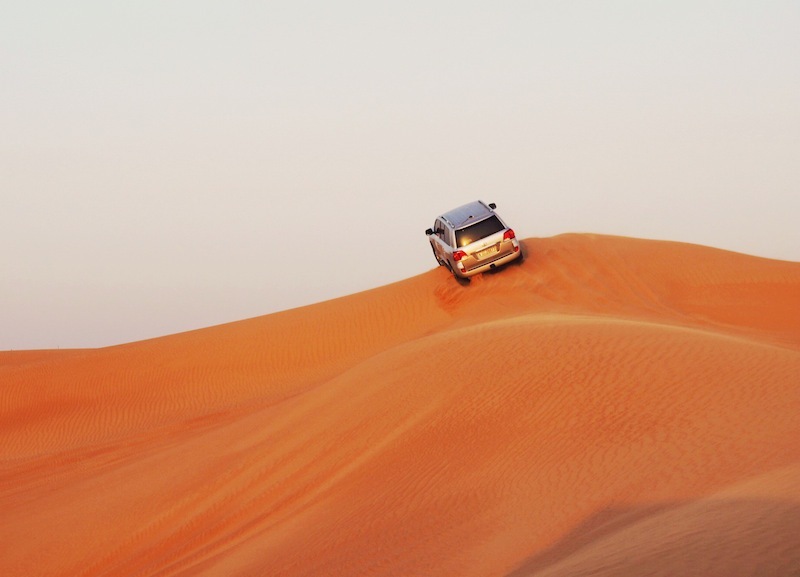 You won’t believe how different Dubai looks when you drive just 40 minutes outside the city. 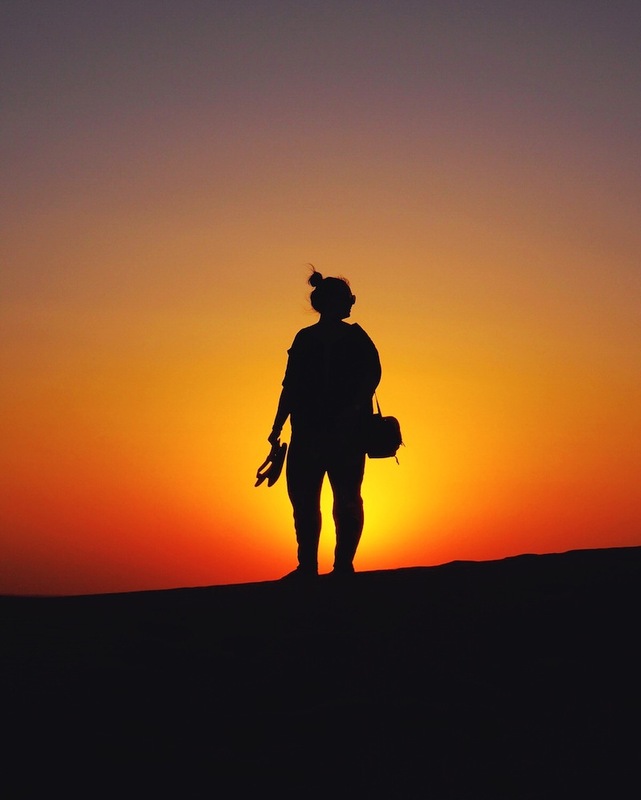 A desert safari with Arabian Adventures will not only show you the sandy side of Dubai but offers a raucous afternoon of dune bashing followed by a Bedouin-style feast under the stars in the middle of the desert. Our jeep full of Aussies laughed our heads off as we were thrown around the vehicle, which was excellently maneuvered by a driver who insisted it was his first day with the company! 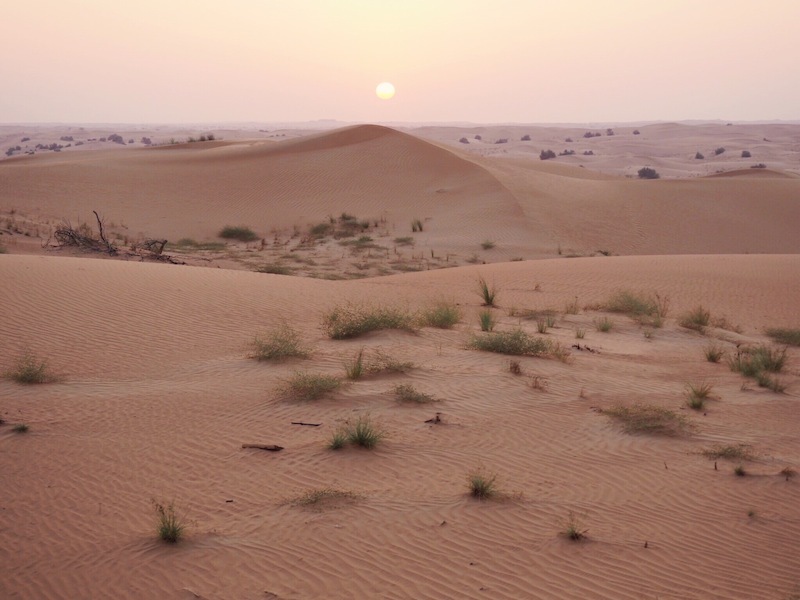 Just when we were starting to feel too giddy we arrived at the magical camp that had been set up with throws, carpets and lanterns nestled in-between the sand dunes. 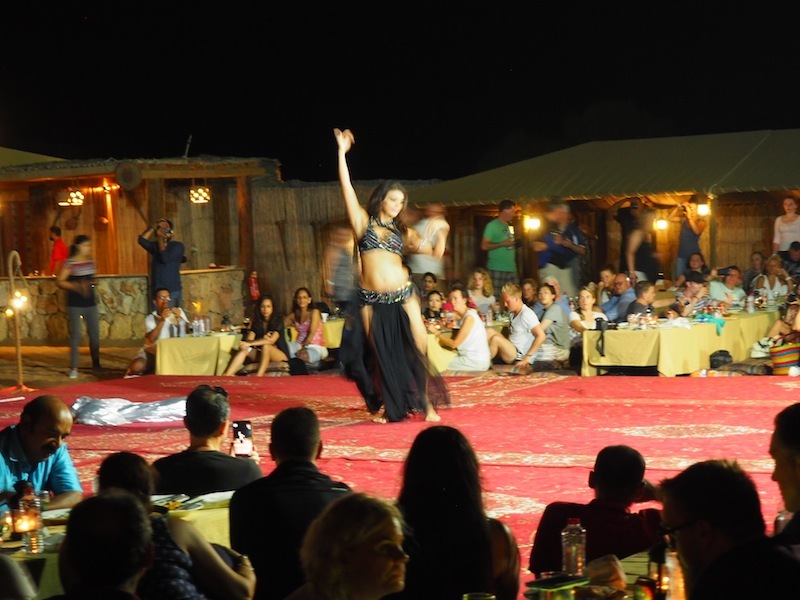 Dinner was a sumptuous feast of Arabic cuisine including freshly baked bread and vast amounts of hummus, and the evening’s entertainment included belly dancing, shisha, camel rides and henna painting. Much to our delight we also discovered that booze is included with dinner – drink is quite expensive in Dubai so this was an unexpected bonus! Not only is the mall a shopaholic’s paradise but it’s like a destination in itself with waterfalls, an aquarium and a giant ice rink all under the one roof. 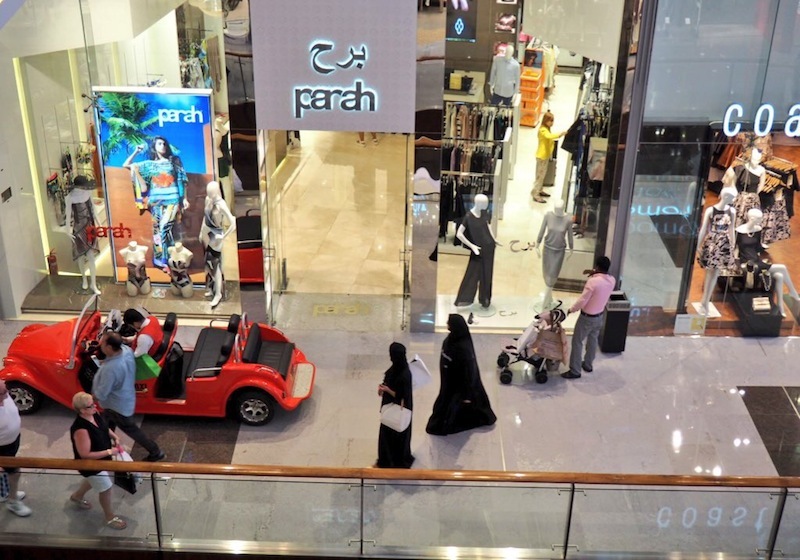 Another little plus is the mall taxis – think: Ferrari-shaped golf buggies – that you can hail when carrying your own bags from one store to the next gets too much for you. A genius idea, if you ask me! 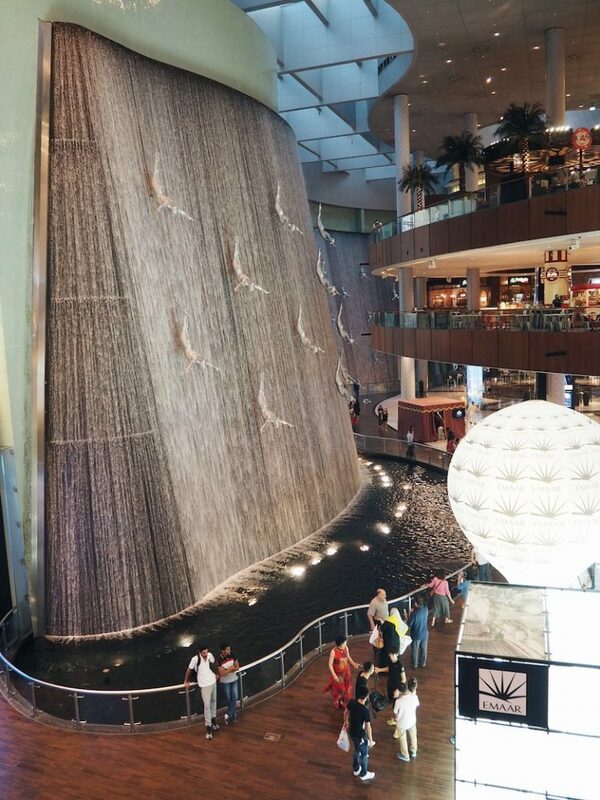 Just outside of the world’s largest mall is the world’s largest choreographed fountain. (Did you expect anything less?) Designed by the same folks who created the Bellagio Fountains in Vegas, The Dubai Fountain puts on a nightly show with water, music and light that’s pretty extraordinary. I was delighted to discover that the display changes every 30 minutes with some shows coordinating to traditional Middle Eastern music and one to the tune of Lionel Richie. (This was my personal favourite!) We watched the various dances whilst dining at Serafina, an Italian eatery with a terrace that has views of the Burj Khalifa and fountains, and I highly recommend it. 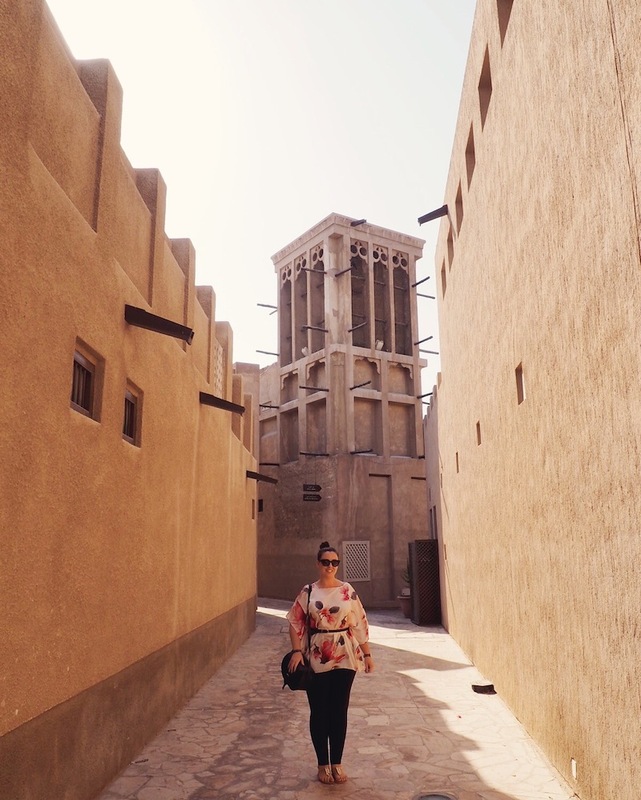 Much like visiting the desert shows you the contrasts of Dubai, visiting Bur Dubai and Deira is a must do to understand Dubai’s history and culture. 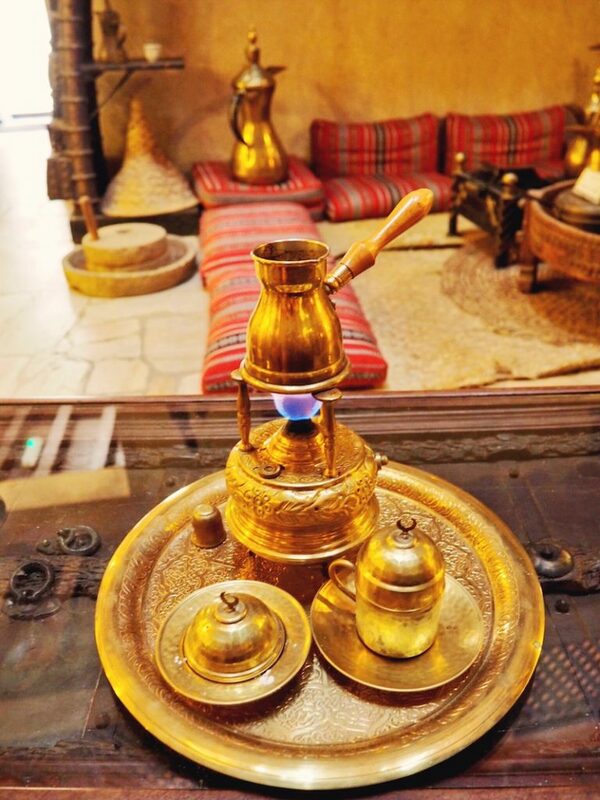 A stroll around the Al Fahidi Historic District will teach you about how early Emirati lived in the desert, plus stick your head in the coffee museum to try some traditional Arabic coffee. 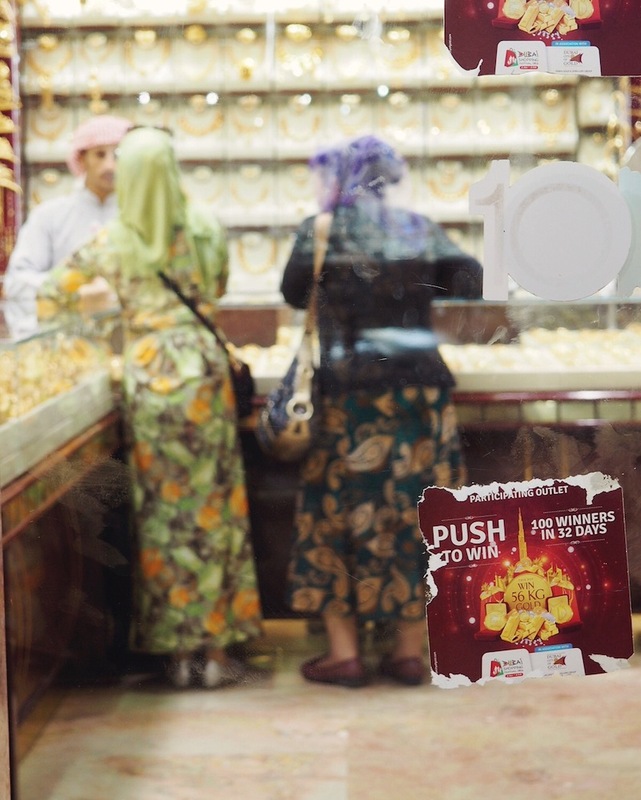 A short abra (water taxi) ride across Dubai Creek will bring you to the Spice and Gold Souks – great places to bargain for some holiday souvenirs. So this activity is rather splurgy but seriously can you think of anywhere more surreal/fascinating to see from the sky than Dubai? 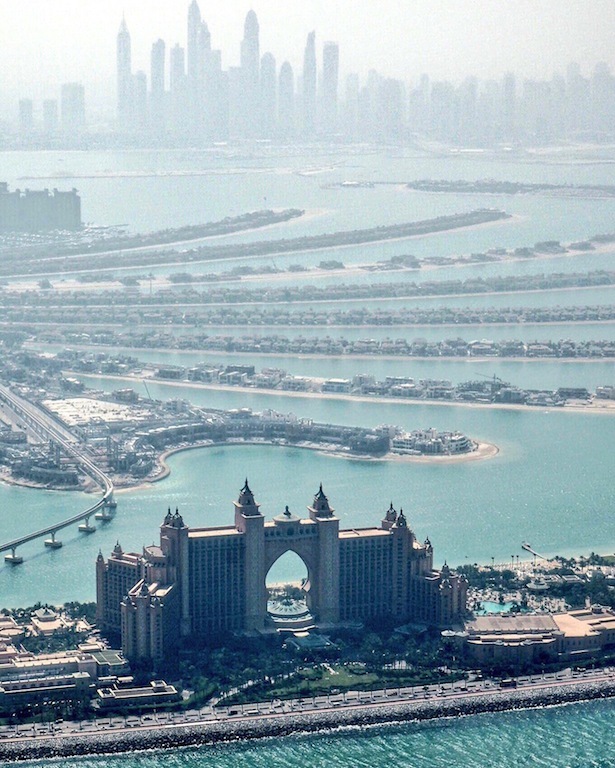 It’s hard to put all of Dubai’s man-made islands and staggering amount of buildings into context when you’re amongst them so seeing them from up high was just eye-opening. Due to the heat and sand in the desert it’s a little hard to get clear pictures but what you can see with the naked eye is mind-blowing. Recently I’ve gone full Aussie and started sniffing around for an Aussie coffee shop on my travels in order to get a good latte. 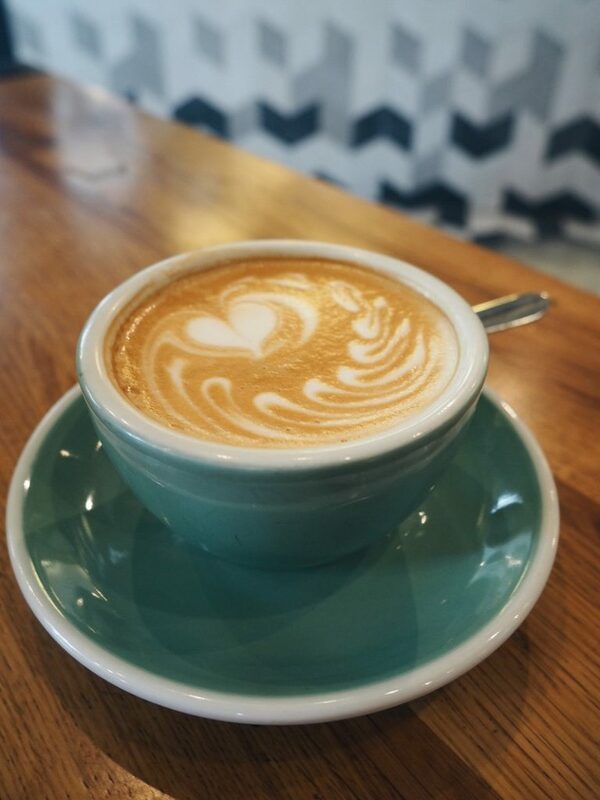 In Dubai this coffee snobbery led me to The Sum Of Us, an Aussie coffee roaster and sourdough bakery who do brunch just like they serve them in Sydney. 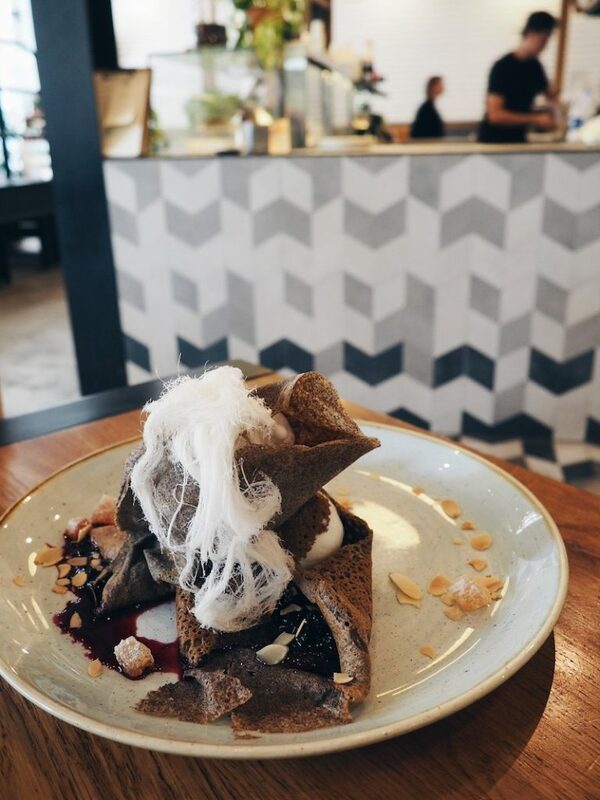 The artfully styled dish that caught my eye (and consequently satisfied my belly) was their buckwheat pancakes served with yoghurt, turkish delight and Iranian fairy floss – it was the perfect Aussie meets Middle East brunch dish! 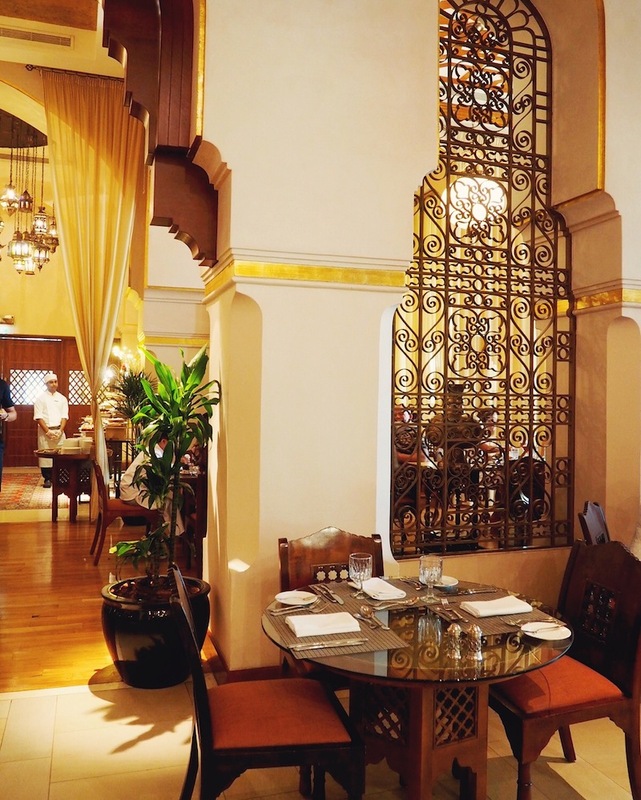 Of course we also had to try brunching like the locals too and got involved in the Friday tradition of tucking into a sumptuous all-you-can-eat brunch at Ewaan at The Palace. Whilst a trio of ladies played pop music on strings, Justin and I enjoyed the best kind of buffet indecision as we flitted from seafood to cheeses, to roast beef and lobster. There were sushi and duck stations, spring rolls and tempura, foie gras served to order and piles of Australian oysters. At the grill you could chose from beef steak or lamp chops and the carvery station even had giant fluffy Yorkshire Puddings. 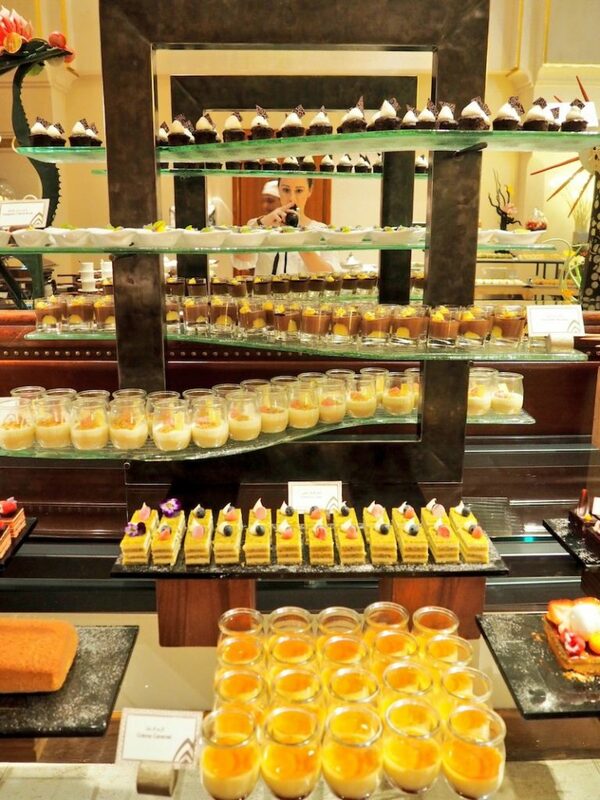 For me, of course, the highlight was the dessert station where I found row upon row of cheesecakes, mousses, gateaux and creme brûlée. I’m a big fan of Australian brunches but I think I can easily convert to the Dubai way of brunching! After all that eating the best thing to do is lie out on a lounger and get digesting whilst sun-bathing! Some of the hotels that hold Friday brunches will let you use their pool and beach facilities for free afterwards – often luring you to stay with happy hour offers on cocktails. 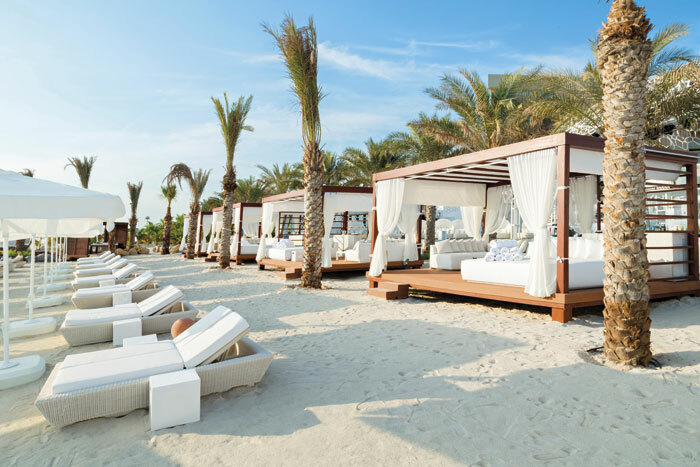 You can also buy a day pass to resorts such as Jumeirah Beach Resort or head to somewhere livelier like Eden Beach Club at Rixos or RIVA Beach Club at The Palm Jumeirah who offer sun loungers and daybeds on an ‘à la carte basis’. 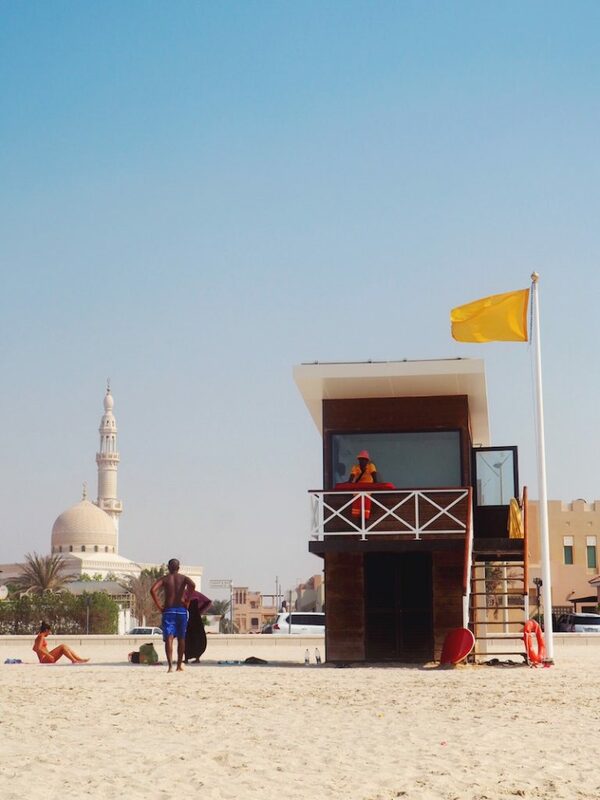 For something more low-key you can head to any of Dubai’s public beaches, which have excellent public facilities including smart palms with phone chargers and free Wi-Fi. 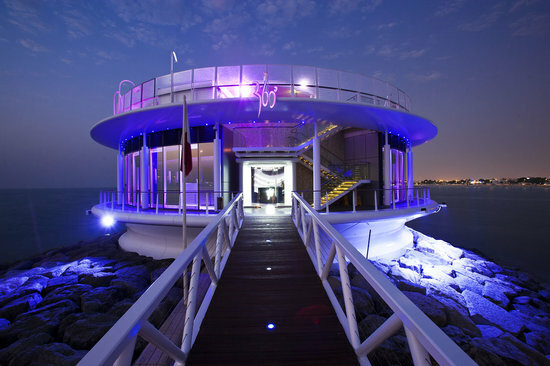 We stayed at the very funky Rove Downtown Dubai for $160AUD per night. Find my full review here. Have you been to Dubai? Is there something you think I should add to my list? Great post. I’m off to Dubai next year for a few days so I’ll be squeezing in as much of this as possible. I would love it if you have any advice on what to wear in Dubai? I obviously understand that it’s a case of dressing respectfully but how do you cover up and keep cool? I think the one thing you should add to your list would be a skydive. I’m a scaredy cat for this sort of thing but the only place in the world I would consider skydiving is over Dubai. 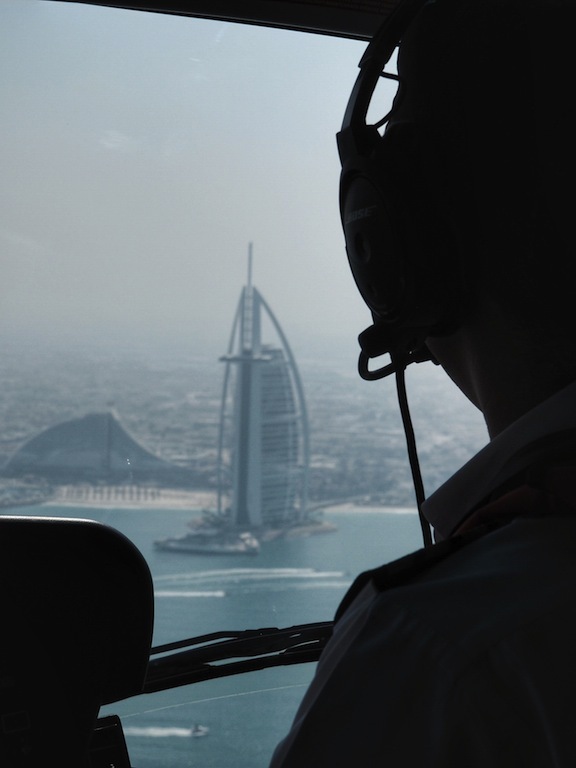 With Palm Island and The World to view from above,its desert land plus the Burj Al Arab and Kalifa. I reckon it is one of the most visually exciting locations to do so in! Loved this post! 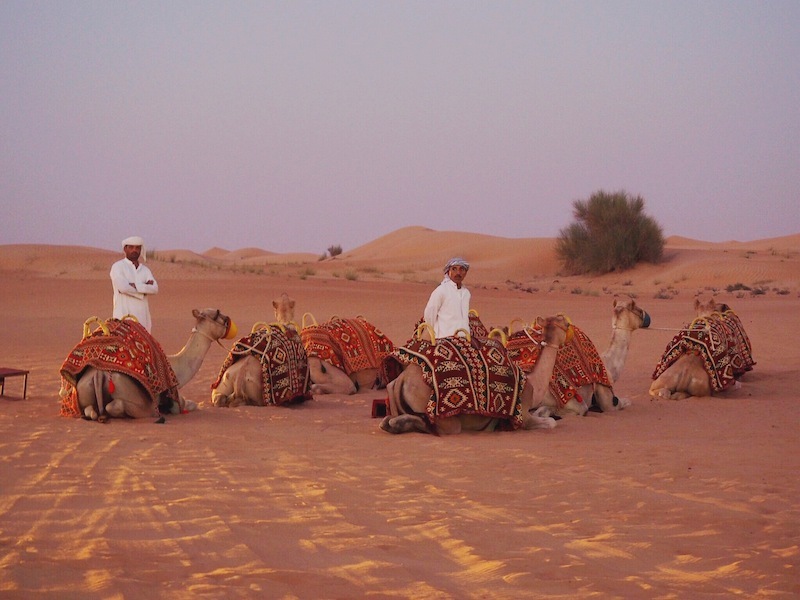 I’m planning to travel Dubai soon, so this was so so helpful to make my trip was fill with enjoyment and excitement. I love this idea Janice. I’ve done one skydive before and was terrified but I agree it would be so visually stunning (and hopefully distracting from the fear!) to do it here!